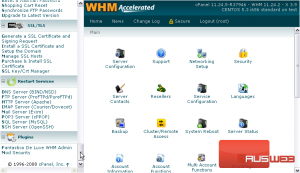 You will also find out how to delete SSL hosts and certificates from your server. You will also see how to share a host’s SSL certificate, for users that do not wish to obtain their own. 1) Go to SSL/TLS in the menu. 2) Click Manage SSL Hosts. 3) If you have any Installed SSL Hosts or certificates, you can delete each one using its Delete button. 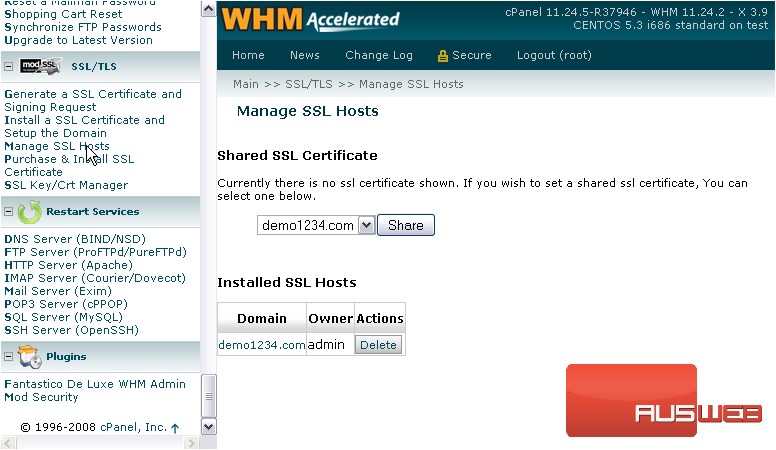 Or, you can share an SSL host’s certificate by selecting it in the menu, then pressing Share. 4) Return to the previous page. 5) To disable the Shared Certificate, click Disable. The SSL certificate is no longer shared. This tutorial is now complete. 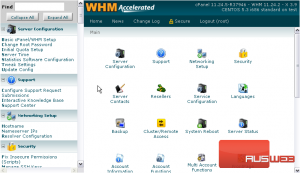 You now know how to manage SSL hosts and the shared certificate in WHM.